Blurb: In the zombie-infested, post-apocalyptic America where Benny Imura lives, every teenager must find a job by the time they turn fifteen or get their rations cut in half. Benny doesn’t want to apprentice as a zombie hunter with his boring older brother Tom, but he has no choice. He expects a tedious job whacking zoms for cash, but what he gets is a vocation that will teach him what it means to be human. My Thoughts: This the first book in the Benny Imura quartet. I really got into the world within the this series. I liked the characters and the action. The world was set up nicely and it was easy to understand the rules. The character development was great also. However, I will not be reading the rest of the series. I am just wanting different things from this book. Blurb: After a childhood spent wandering the borderlands, Roar finally feels like he has a home with the Tides. His best friend Perry is like a brother to him, and Perry’s sister, Liv, is the love of his life. But Perry and Liv’s unpredictable older brother, Vale, is the Blood Lord of the Tides, and he has never looked kindly on Roar and Liv’s union. Normally, Roar couldn’t care less about Vale’s opinion. But with food running low and conditions worsening every day, Vale’s leadership is more vital—and more brutal—than ever. Desperate to protect his tribe, Vale makes a decision that will shatter the life Roar knew and change the fate of the Tides forever. My Thoughts: Even thought this is technically before the trilogy, I would suggest reading this after the main books. There are several spoilers. I liked this novella. It was sweet and revealed more about Liv. I guess I misunderstood the whole time frame that the series took place. I thought it was a much longer span of time. Blurb: The race to the Still Blue has reached a stalemate. 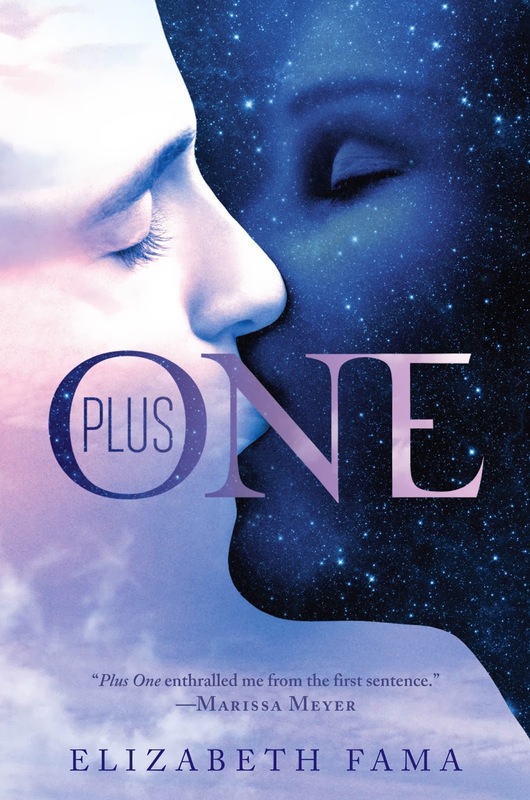 Aria and Perry are determined to find this last safe haven from the Aether storms before Sable and Hess do – and they are just as determined to stay together. My Thoughts: Amazing! This last novel was so action packed. I hope no one has seen me driving while listening to this book, because I have tried to tear my steering wheel off a couple times. There were so many emotions that I have felt while reading this book. I have come to love Aria, Perry, and Roar. I really enjoyed this trilogy and I am upset to see it end. Also, I was so happy to have the same reader from the first novel in this one. I feel like her voice is Aria’s voice. Blurb: Mary is stuck in Section One, living with three hundred women in a crumbling hospital. She wonders what life was like two centuries ago, before the Cleansing wiped out all the men. But the rules—the Matriarch’s senseless rules—prevent her from exploring the vacant city to find out. My Thoughts: I had really high hopes for this book. It sounded interesting and I liked the concept. I had to force myself to finish the book. The consistent switch from character perspectives (both in the first person) was really confusing. A lot of the actions did not make sense. Character development was extremely poor. Even though the perspective was in the first person, the true feelings of the characters was not clear. Blurb: It’s been months since Aria last saw Perry. Months since Perry was named Blood Lord of the Tides, and Aria was charged with an impossible mission. Now, finally, they are about to be reunited. But their reunion is far from perfect. The Tides don’t take kindly to Aria, a former Dweller. And with the worsening Aether storms threatening the tribe’s precarious existence, Aria begins to fear that leaving Perry behind might be the only way to save them both. Threatened by false friends and powerful temptations, Aria and Perry wonder, Can their love survive through the ever night? My Thoughts: So much action! I am loving this trilogy more and more! I think all the events are tying together nicely. The emotions and connects with the characters is stronger. I simply cannot wait to start the final book. My Thoughts: In all honesty, I have mixed feelings about this book. They are not feelings of dislike. I am just not sure how I can take this book. I think my problem is that I do not feel connected to the story. I never really did any crazy things in high school (or college for that matter). I cannot say too much more because I don’t want to spoil it. It almost seems like I am missing something. Like the ending dwindled down, and I missed the main point. Maybe I already understood the message John Green was trying to say. I don’t know. This was recommended by mahraalhosani. Blurb: Allie will embrace her cold vampire side to hunt down and end Sarren, the psychopathic vampire who murdered Zeke. But the trail is bloody and long, Allie and her companions – her creator Kanin, and her blood brother, Jackal. The trail is leading straight to the one place they must protect at any cost – the last vampire-free zone on Earth, Eden. And Sarren has on final, brutal shock in store for Allie. My Thoughts: I am not sure what to say without spoiling. I really liked how everything turned out, even though I was shocked and sad. I saw some parts coming, but not all. There was just a little too much fighting for my taste and this book seemed a little dragged out. There parts that made up for it. 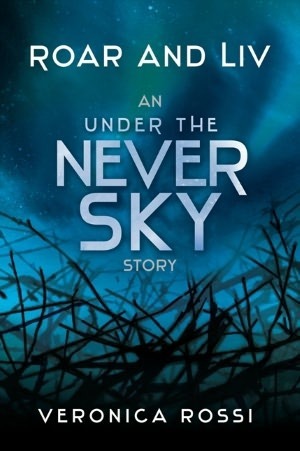 I ended up liking characters I was sure I would loathe.Overall, I would say I really enjoyed this trilogy. I am sad to see it end. Funny story. I was trying so hard to finish this book Wednesday (yesterday). I started at 55% and made it to 94% before I had to leave for work. I planned to finish it on my breaks, but it ended up only being like three pages left of the story! So, I technically finished it after midnight … today. 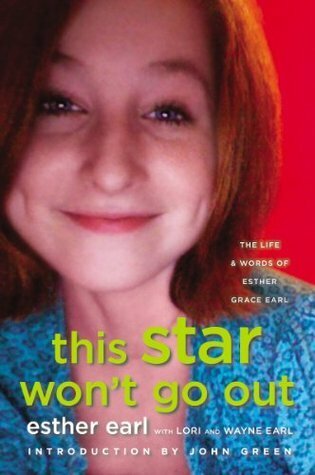 Blurb: A collection of the journals, fiction, letters, and sketches of the late Esther Grace Earl, who passed away in 2010 at the age of 16. Photographs and essays by family and friends will help to tell Esther’s story along with an introduction by award-winning author John Green who dedicated his #1 bestselling novel The Fault in Our Stars to her. My Thoughts: Before this book I have never read any type of biography at all. This book is very modern because it ties together all aspects of Easter’s life. I would like to make it clear that Ester’s story and Hazel’s (TFiOS) is not the same. Ester seems like an amazing person, and I wish I could have met her. This book has made me remember some of the important things in life. I have so many emotions and thoughts from this book, I may have to add more when I have more time. Blurb: Samantha Kingston has it all: the world’s most crush-worthy boyfriend, three amazing best friends, and first pick of everything at Thomas Jefferson High—from the best table in the cafeteria to the choicest parking spot. Friday, February 12, should be just another day in her charmed life.Instead, it turns out to be her last.Then she gets a second chance.Seven chances, in fact. Reliving her last day during one miraculous week, she will untangle the mystery surrounding her death-and discover the true value of everything she is in danger of losing. My Thoughts: This was the second book I have fully listened to on CD. After getting over the annoying voices, which was rather hard for me to do, I really started liking it. At first, I disliked most of the book. The characters were annoying and the plot seemed really stupid. However, maybe over the half way mark, it got better. I am not too sure I like the ending. I am still thinking it over.